The Head’s Letter is a monthly newsletter largely for heads of independent schools. Published by Educational Directions Incorporated, it focuses on topics of particular importance to school leaders. They were nice enough to ask me to write the piece I copied below as the cover of their December edition. The topic I discuss in The Head’s Letter should be no surprise to people with whom I have worked or who regularly read the blog: I have been writing about Progress Culture for years now, and I have been highlighting the need to learn from and create partnerships with entities beyond our schools for almost as long. As we look to move our schools’ ability to deepen learning for our students forward, it is imperative that we lean into the learning we can do beyond the confines of our respective campuses and curriculum. At St. George’s Independent School (SGIS) we are energized by this aspect of our work–we call it SG901. So far the most visible artifact of this effort is the St. George’s Bunkhouse, which represents an unprecedented partnership with Memphis’s City Leadership and Serve901. You can read about the October 2016 opening and ribbon-cutting of the St. George’s Bunkhouse HERE. It is worth reading particularly for the remarks of one of the members of the Class of 2017, Alton Stovall, who spoke at the ceremony. Over the weekend the SGBunkhouse, located in the Historic Vollintine Evergreen neighborhood, served as a great location from which to go cheer on runners in the St. Jude Marathon. SGIS’s relationship with the work of St. Jude Children’s Research Hospital is profoundly close due to two SGIS students–Carson Head, Class of 2024, who passed away in the summer of 2015 as a result of childhood cancer and Adam Cruthirds, Class of 2016 who continues his cancer fight now as a freshman at Rhodes College. (You can read a talk Adam gave exactly one year ago in an Upper School Chapel Service HERE). Supported by faculty and Upper School student volunteers, around sixty members of the SGIS Lower School community, families and students from both our Memphis and Germantown campuses, spent the night in the newly renovated SGBunkhouse space. On Friday night they made posters to cheer on the runners, and they played games, ate pizza, and watched movies. On Saturday morning they ate pancakes before heading out to cheer the runners. Many more members of our school community–students from each campus and division, alumni, parents, and faculty–participated on Saturday as runners, walkers, and cheerers. It is an example of a kind of community engagement we would like to see growing through the SGBunkhouse: an opportunity to connect with each other AND with the community where we live. 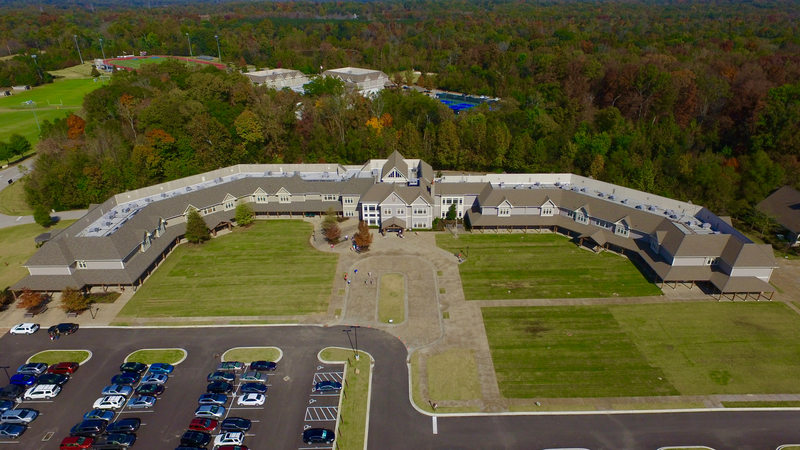 St. George’s Independent School –A view of the Collierville Campus, affectionately called “The Lodge” by the student body. If we want students to live creative, passionate, and civically engaged lives as adults, they must go about living toward those priorities now, and we must go about the work to support them in this effort. If we want them to contribute to the communities in which they will live and work as adults, they must contribute now. In order to accomplish this, our schools, places of business, and non-profit institutions must go about modeling the same priorities we wish for young people. 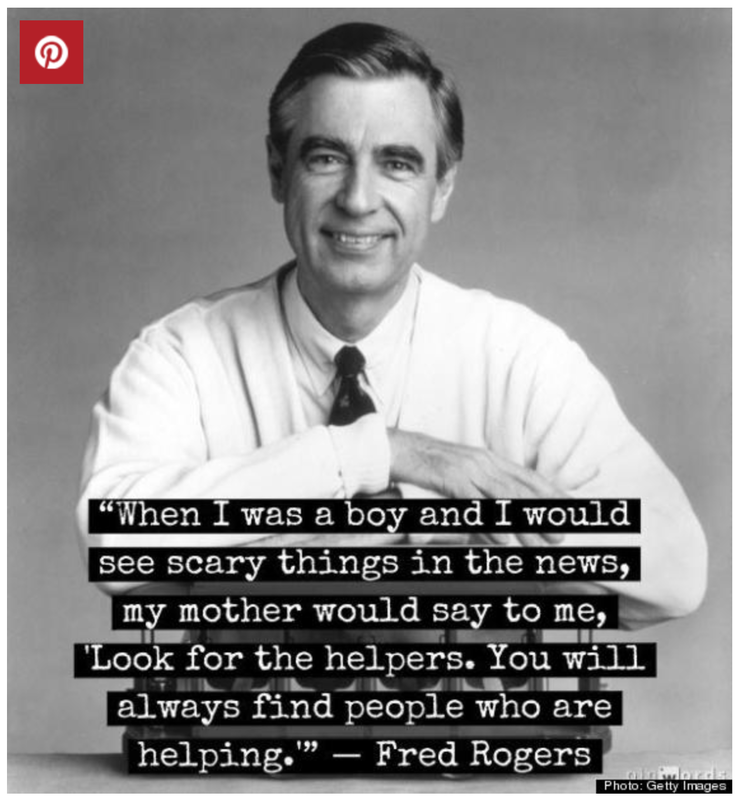 …And most importantly we must model the priorities in our lives as individual community members. To do less risks creating a generation passive and cynical about the positive role they might play in the world. The Memphis area has explicit needs that should demand all hands on deck—young, old and in-between. The community doesn’t simply need them at some future date–it needs them now. The seniors at St. George’s are so clearly ready to live toward the priorities named above. St. George’s is fortunate to have a great senior class who lead in myriad ways. They are deeply engaged in the life of the school and the life of the community. Meeting people in the Memphis area who are leading lives toward the priorities I named are making a real difference everyday. I want our students to know them and to learn from their example, so that before they head to college they can see clearly that such lives are not only necessary to the success of our communities, but that the lives of these role models is achievable and rewarding.